Baby Suncare Stick, with calendula & shea butter.65 oz/18.4 gChemical-free, Matter Co.'s Baby Suncare Stick protects delicate young skin against harmful UVA & UVB rays using Non Nano, uncoated zinc oxide. 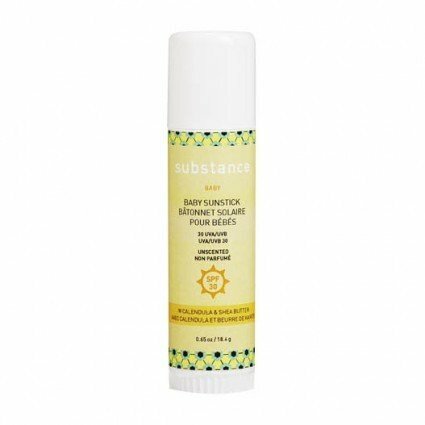 Safe for children of all ages, this non-greasy formula moisturizes with nourishing oils of Shea Butter and Jojoba Oil, while soothing Calendula and Vitamin E offer skin healing properties. Water resistant and travel friendly, our favourite thing about this product is how easy it is to apply, especially to smaller patches of the face, lips, hands, nose & ears.